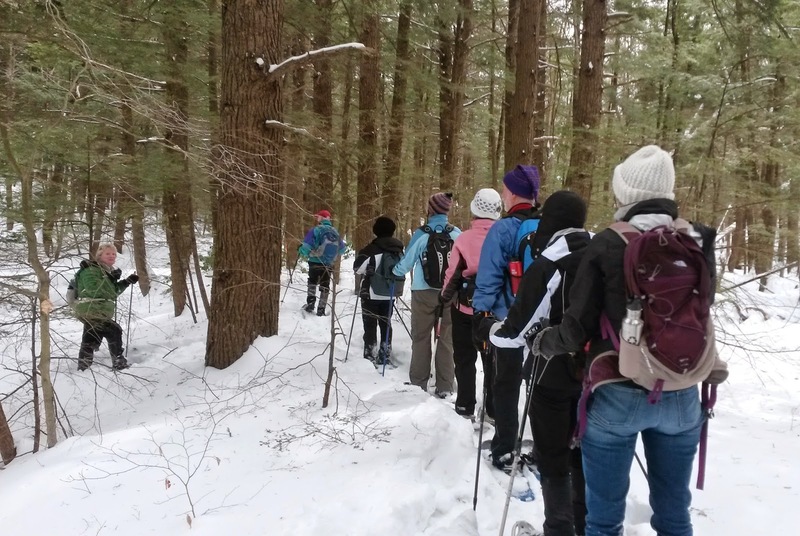 This week we explored the private trails at Otis Woodlands in Sandisfield and Otis. Even with approximately 250 homes, the area remains wooded because homeowner restrictions permit tree-cutting for the house only. The development's land abuts Otis Ridge Ski Area and Otis State Forest. 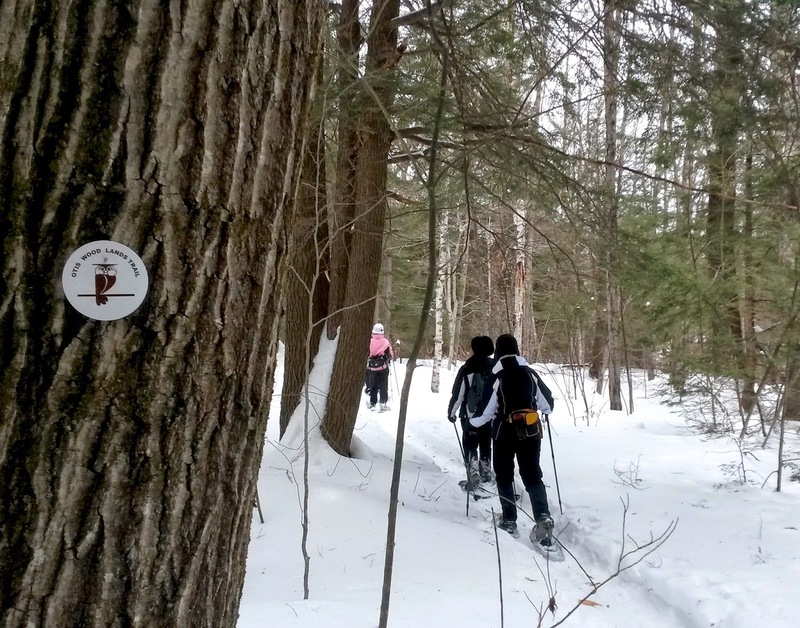 The association's volunteers have marked and maintain several miles of private trails. 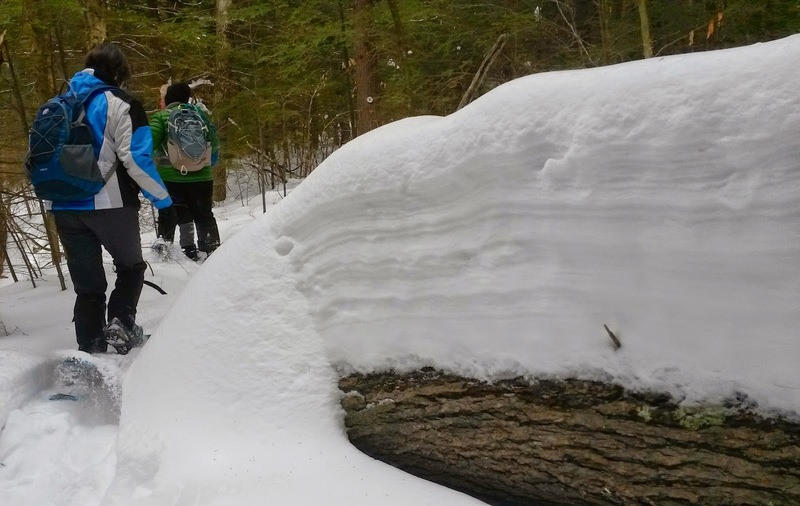 The snow had piled up on some large boulders along the trail. 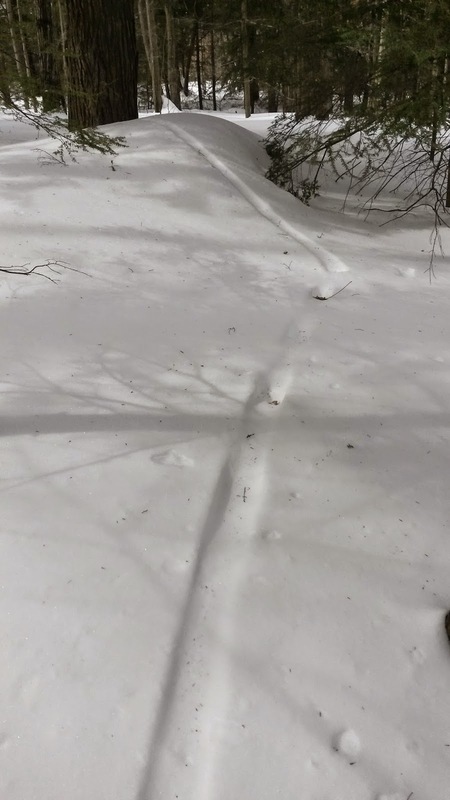 Hillary Filios, a knowledgeable tracker, pointed out various animal tracks. 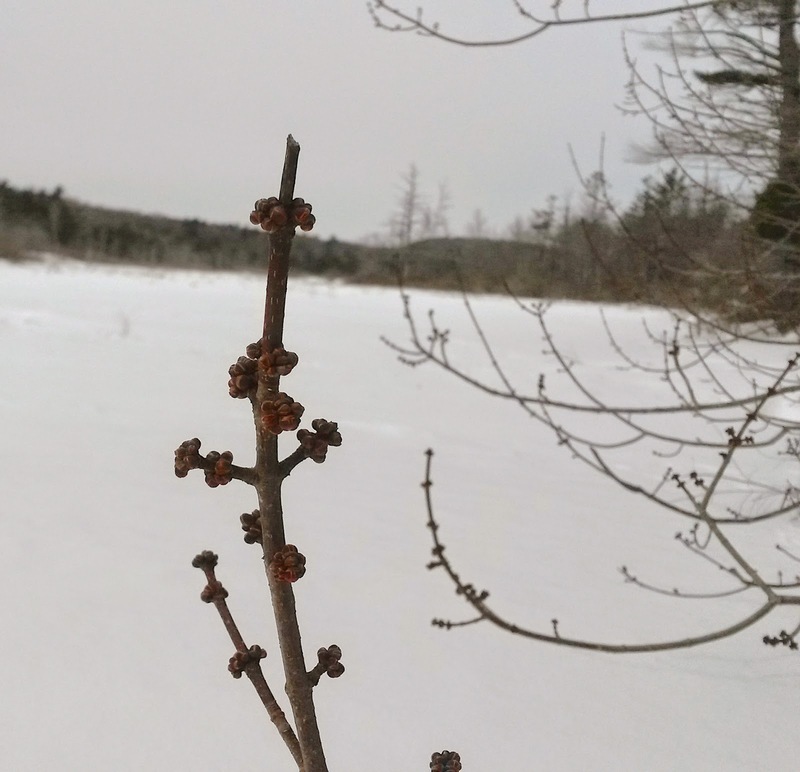 but the buds are fat and ready for spring! This is a first for me and I was so excited to see this! (and must have some fun!) by sliding down inclines on its belly. where it feeds on crayfish, frogs and fish .